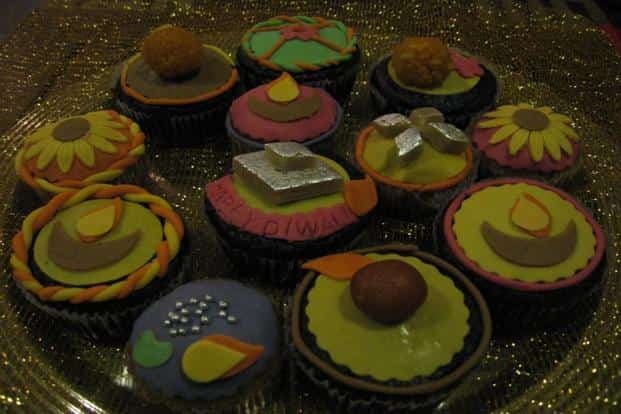 1/13The Dessert Cart: Traditional Diwali symbols on cupcakes, Rs 90 each, available at thedessertcart@gmail.com or www.facebook.com/lechariotdedesserts. 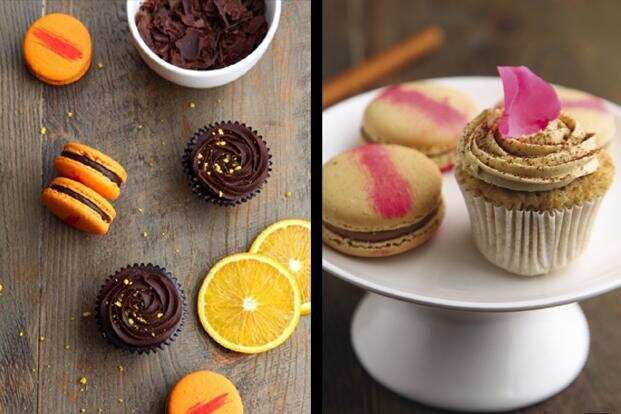 2/13Le 15 Patisserie and Nachiket Barve: Cupcakes and macaroons in cinnamon, nutmeg, saffron, cardamom and other flavours. A box of 12 for Rs 1,850 and a box of 4 for Rs 150, at Le 15, Palladium, High Street Phoenix, Lower Parel, Mumbai. 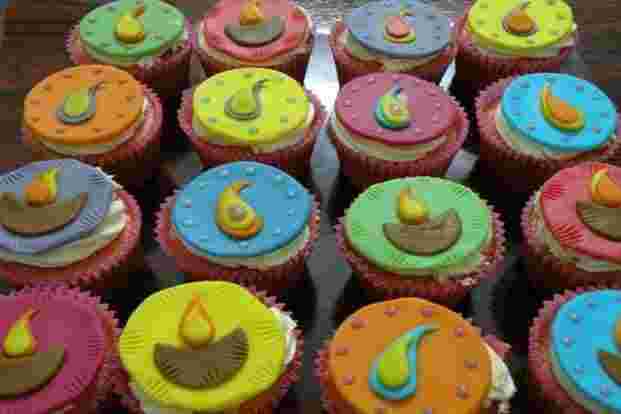 3/13Kishi Arora of Foodaholics: Cupcakes with sugar diyas, sparkles and more, Rs250 each at www.facebook.com/foodaholics or www.foodaholics.in. 4/13Sweet Somethings:A hamper of 6 cupcakes in chocolate, coffee, mocha, raspberry, vanilla, orange and lime at Rs 600 onwards, at www.facebook.com/sweetsomethingspage or call 081978-84105 (Bangalore). 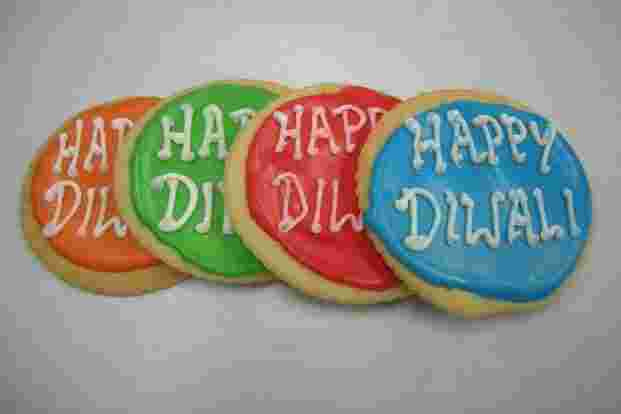 5/13Red Moon Bakery: Sugar cookies with a ‘Happy Diwali’ message. Rs 220 for a dozen or a mixed tub for Rs 500, at W-41 Okhla Industrial Area, Phase 2, New Delhi or www.facebook.com/redmoonbakery. 6/13The Chocolate Box: Spice Gulkand fruit and nut cake, Rs 850, at Radisson Blu MBD, Sector 18, Noida. 7/13The Chocolate Box: ARangoli cake, Rs 1,000 onwards, at Radisson Blu MBD, Sector 18, Noida. 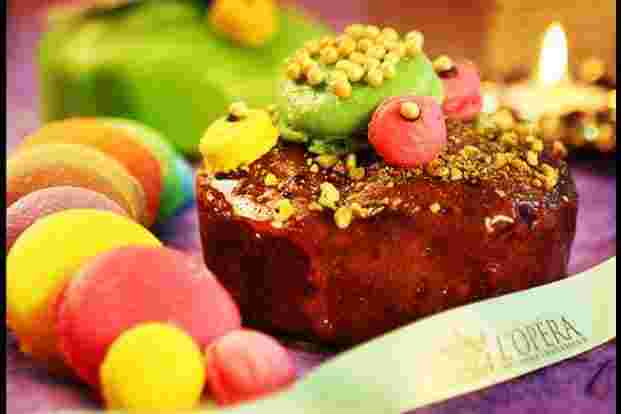 8/13L’Opera: Diwali tea cakes in Pistachio with berries, lemon, and eggless vanilla flavours, Rs 650, at Khan Market and Select Citywalk Mall, Saket, New Delhi. 9/13Sin-A-Mon: Saffron and Rabri cheesecake with a motichoor base, 200 ml jar for Rs 150. To place an order call Monika at 8277603490 (Bangalore) or email contact@sinamon.in. 10/13Dotted i: Cupcakes in strawberry, double chocochip, blueberry, chocolate and more, a box of 6 for Rs 550. Call 919945099011 (Bangalore). 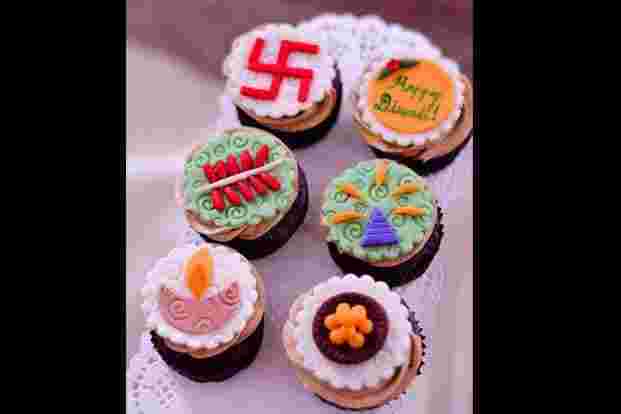 11/13Cup-a-cake: Enjoy crackers and diya sugarcraft on cupcakes, box of six Rs 600, at www.cupacake.in or call 9901791788 ( Bangalore). 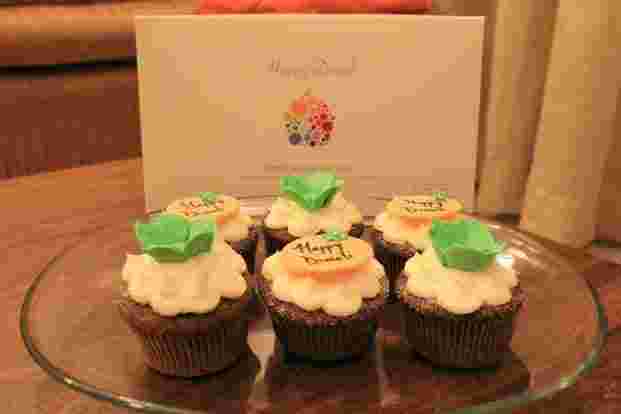 12/13Simply mmmm cupcakes: Spiced cupcakes with sugarcraft, a pack of six in pretty, customized boxes Rs 600. 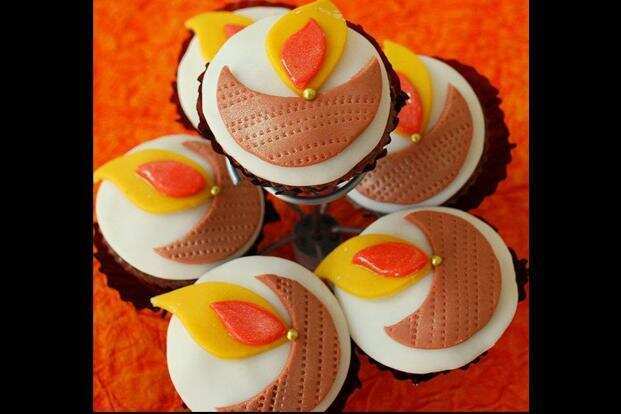 Email simplymmmm.cupcakes@gmail.comor call 9740089227 (Bangalore). 13/13Cuppycakes & Co: A touch of ladoo and kaju barfi on cupcakes, Rs 50 per piece with a minimum order of six, at www.facebook.com/cuppycakes.in or 09900510804.